High-Tops for off the court are where its at! 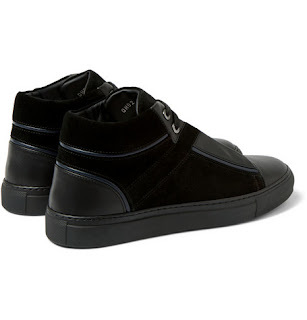 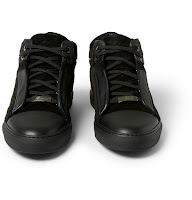 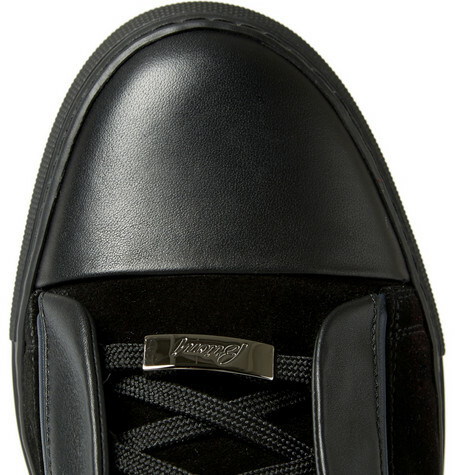 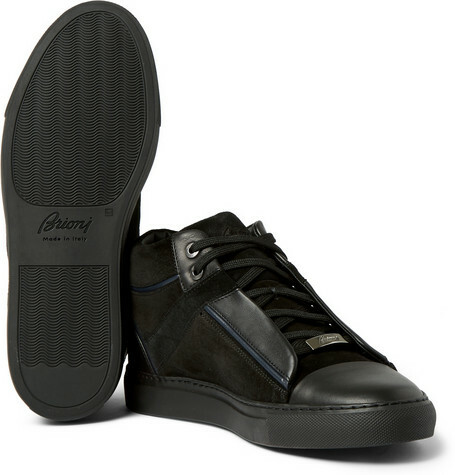 These Brioni High-Top Sneakers are a nice take on sporty and dapper. 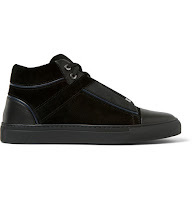 The upper is a combination of premium black leather and suede with little navy blue piping details outlining the heel, eyelet placket and ankle collar. Throw in the logo lace lock and the toned-down sturdy black rubber sole and you have a handsome shoe inspired by sport but ready for the night life. 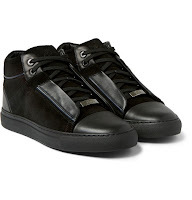 Available now at Mr. Porter.com.